Daleks were mutated descendents of the Kaleds of the planet Skaro. They fought and destroyed the Time Lords in the Last Great Time War. They regarded the the Doctor as their greatest single enemy and were hated and feared throughout time and space. On the planet Skaro, during the final days of the Thousand Year War between the Thals and Kaleds, both sides began to suffer mutations caused by the use of nuclear, biological and chemical agents. Some of the mutant survivors, the mutoes, managed to survive in the wastelands . Shan, a young Kaled scientist, authored a paper that theorized that with both Kaleds and Thals competing for resources, she called the only way out of this dilemma "the Dalek Solution". Davros took the paper and presented it to the Kaled Council as his own . Another account says that Davros had found a prophecy in the forbidden Book of Predictions which stated that one day mortals would transcend into gods. The last word, said aloud, sounded like dal ek. Subsequently, Davros now crippled, was one of the Kaled Scientific Elite. He had begun experiments on living subjects and hoped to deify the Kaled race. Davros pushed through legislation enabling authority (and ownership) of all Kaled infants under the age of five years old and to be delivered to Pediatric Facility K-99, which he used as a laboratory to do surgical experiments. Davros transplanted the brain from Baran, a captured Thal spy, into a Mark I Travel Machine. Davros did not immediately show the results of his Dalek experiments to the Kaled Scientific Elite. He had improved and developed the shell for the organic components of the Daleks, housing them in tank-like and armed Mark III Travel Machines similar to those like his own life support chair. He maintained a nursery of embryonic Dalek young. As well as nurturing the physical form of his creations, Davros shaped their minds. The Daleks did not understand concepts such as pity. It did not exist in their "vocabulary banks". The interdependence of biological and mechanical components arguably made the Daleks a type of cyborg. The Imperial Daleks created by Davros during the Imperial-Renegade Dalek Civil War were inarguably true cyborgs, surgically connected to their shells. 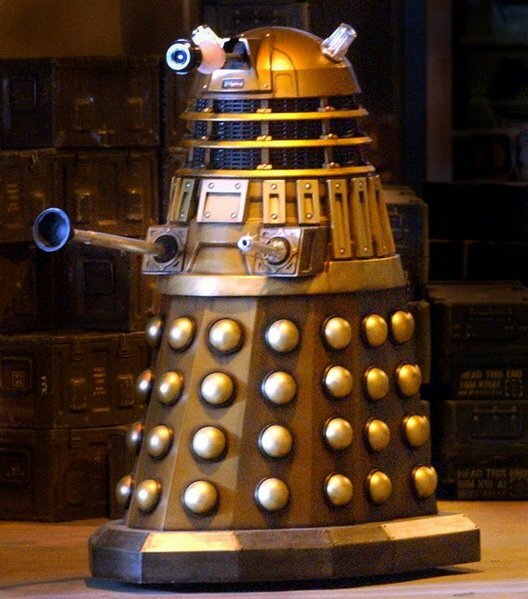 Externally, Daleks resembled human-sized peppershakers, with a single mechanical eyestalk in a rotating dome, a gunstick and a manipulator arm. The casings were made of bonded polycarbide armour, a material that was also called dalekanium. The lower shell was covered with many hemispherical protrusions, seen as a self-destruct system. The voice of a Dalek was electronic, the Dalek creature having no vocal apparatus as such. Their most infamous statement was "EX-TER-MIN-ATE! ", with each syllable individually screeched in a frantic electronic scream. Other common utterances included "I (or WE) OBEY!" to any command given by a superior. Daleks also had a radio communicator built into their shells, and emitted an alarm to summon other nearby Daleks if the casing was opened from outside. The Dalek's eyepiece was its most vulnerable spot, and impairing its vision often led to its main weapon being fired indiscriminately. The Dalek casing also functioned as a fully-sealed environment suit, allowing travel through the vacuum of space or underwater without the need for additional life-support equipment. A Dalek is connected to its casing through a positronic link while the mutant itself accesses nutrient feeders and control mechanisms inside its internal chamber. The power source of the Dalek casing appears to have varied at different points in their history. During his first encounter with them on Skaro, the Doctor learned that the casing was externally powered by static electricity transmitted through the metal floors of the Dalek City. Isolating a Dalek from the floor using a non-conductive material shut down the casing, although it was not immediately fatal to the occupant. This weakness was not seen on any other occasion. By the beginning of the Last Great Time War the Daleks had adapted their technology to use a form of energy apparently inextricably linked to the process of time travel (possibly Artron energy). On more than one occasion Daleks and their devices were seen to leech this energy from time-travelers to power themselves. Whatever the power source was that the Daleks used in the interim, it was (apparently uniquely) immune to being drained by the City of the Exxilons. Strangely, the Daleks retained motive power and the ability to speak even though their weaponry was shut down (strongly suggesting the weapon systems had a separate power supply). The Doctor indicated that this was because the Daleks were psychokinetic, the City being unable to absorb psychic energy. Other references to the Daleks having any kind of psychic potential are rather scarce, but on the planet Kyrol the Doctor later discovered an enclave of humanised Daleks who had, through years of meditation, developed their psychokinesis to a remarkable degree. The casing was also booby-trapped making even dead Daleks a dangerous foe. They were frequently equipped with virus transmitters which worked automatically. 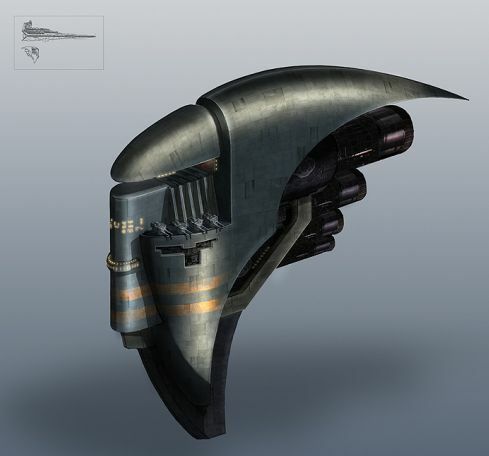 Furthermore, the armour contains an automated distress beacon which activates if disturbed. The interior mutant was, as Ace described it, a green or pinkish "blob." (DW: Remembrance of the Daleks) It is the brain of the Dalek and the true creature that hates everything that is not a Dalek. The "blobs" are most often genetically-mutated Kaleds or, at times, other species captured by the Daleks and are depicted as having multiple tentacle-like protrusions and a normal sized right eye with the left eye much reduced in size so as to be easily missed. Despite their apparent lack of any motive capability they are shown to be capable of defending themselves, as demonstrated when a Dalek attacked and killed a soldier. Daleks had little to no individual personality and a strict hierarchy. They were conditioned to obey a superior's orders without question. Ultimately, the most fundamental feature of Dalek culture and psychology was an unquestioned belief in the superiority of the Daleks. Other species were either to be exterminated immediately, or enslaved and then exterminated later once they were no longer necessary. The default directive of a Dalek was to destroy all non-Dalek lifeforms. Daleks even regarded "deviant" Daleks as their enemies and worthy of destruction. The civil war between the Renegade and Imperial Daleks was a prime example of this, with each faction considering the other to be a perversion despite the relatively minor differences between them. This belief also meant that Daleks were intolerant of such "contamination" even within themselves. Another offshoot of this superiority complex was their complete ruthlessness, although this is also due to genetic modifications made to the original Kaled mutants by Davros. It was because of this that it was nearly impossible to negotiate or reason with a Dalek and it was this single-mindedness that made them so dangerous and not to be underestimated. However, their reliance on logic and machinery was also a weakness, albeit one that they recognized in themselves. (DW: Destiny of the Daleks) On two occasions they transferred emotions from other life-forms, in the one case Humans, having refined, the Human Factor with the help from the Doctor to create Humanised Daleks. The key item of Dalek technology is the casing, evolved from the Mark III Travel Machines built by Davros. The casings of Davros' Imperial Daleks were made out of bonded polycarbide. The eyestalk of the casing clearly bestowed superior vision to the Dalek creature, and the plunger-shaped attachment functions on the surface of Skaro, and ran on static electricity which was fed through the floor of the city, and were incapacitated if they were removed from the floor. Those occupying Earth during the their 22nd century invasion had dishes on their backs, as a flexible and adaptable limb. Dalek gunsticks could kill almost any sentient being, although many species have developed armour capable of resisting Dalek guns. The technology of the casings changed over the years. The first Daleks to emerge from the bunker in which the first Daleks were entombed created a city and received power from those. Later models of Dalek casing had their own internal power supply. Numerous models of Daleks have some degree of hover technology. By the era of the Last Great Time War, Dalek technology had moved on even further - Daleks now had force-fields. Whereas previous versions of Daleks could be destroyed by well-placed bastic bullets or the like, these Daleks stopped such bullets from even getting close to the casing. 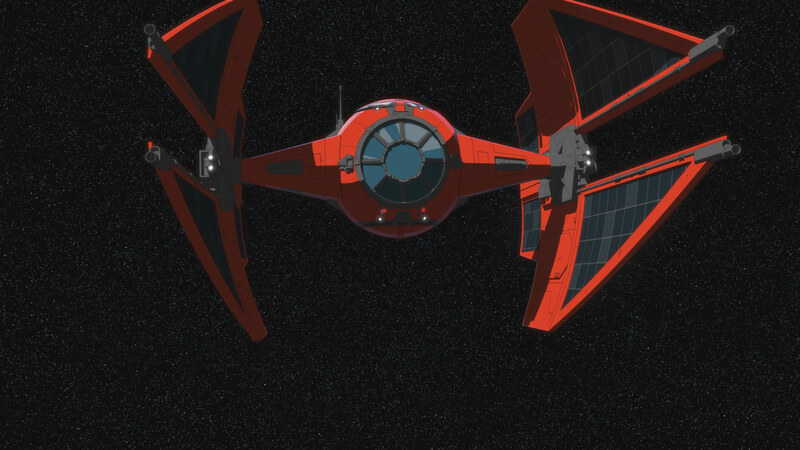 Their propulsion systems not only added hover ability, but enabled independant space travel. These Daleks could use the DNA of a time traveller to regenerate their bodies and their casings just by virtue of the traveller touching the casing. Dalek travel technology varied over time. However, Dalek spaceships were consistently designed in a saucer shape, and hoverbouts allowed individual Daleks to travel without using up their own power source. The Daleks also developed time travel capabilities. Time Corridors allowed limited transport between one era and another. The Daleks were also experts in biological warfare, and used (or attempted to use) biological weapons on numerous occasions. Visual Enhancements: the vision systems of the Dalek Armour are far better than those of the Dalek Creature itself, granting an additional +1D to search skill rolls. However the external nature of the vision enhancements make them a weak point, their destruction meaning the Dalek is blinded. Vocabulator: Basic system capable of no real emotion or vocal skills beyond simple communication. Note: Armour is powered through static electricity delivered through the floors in Dalek cities and vessels, a dish energy receiver can be mounted on the armour should the Dalek be required to operate outside of these areas. Even when outfitted with the energy receiver however this Dalek is infamous for being incapable of crossing difficult terrain, or traveling up or down staircases. Visual Enhancements: the vision systems of the Dalek Armour are far better than those of the Dalek Creature itself, granting an additional +2D to search skill rolls. However the external nature of the vision enhancements make them a weak point, their destruction meaning the Dalek is blinded. Commlink: Dalek's have inbuilt communication systems, which allow them to co-ordinate their actions across a planet. System Interface Connector +1D to all Computer Programming skill rolls, and all Vehicle Operations and Gunnery Skills when using Dalek Technology. Repulsorlift Engine: This Dalek Armour can hover with a move of 2 to allow the Dalek to cross difficult terrain and staircases. Visual Enhancements: the vision systems of the Dalek Armour are far better than those of the Dalek Creature itself, granting an additional +2D to search skill rolls as well as Infra Red vision capabilities. System Interface Connector +2D to all Computer Programming skill rolls, and all Vehicle Operations and Gunnery Skills when using Dalek Technology. Repulsorlift Engine: This Dalek Armour can hover with a move of 8 to allow the Dalek to cross difficult terrain and staircases. 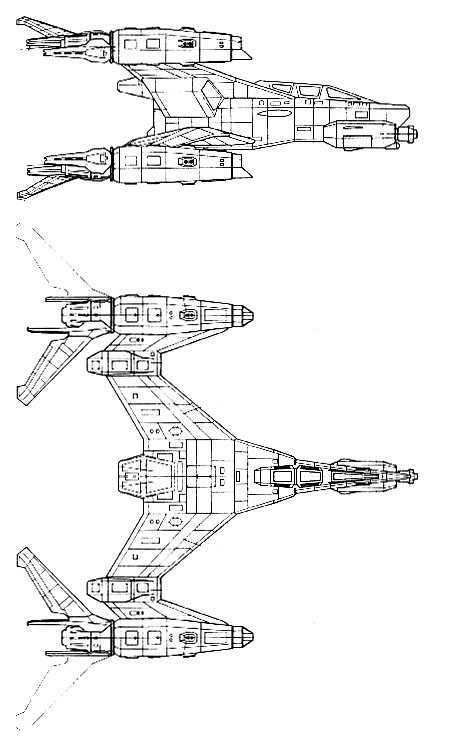 It can also swap to a full flight mode, which is unsuitable for use indoors or aboard starships, allowing it to travel at Move: 45; 130 kmh. 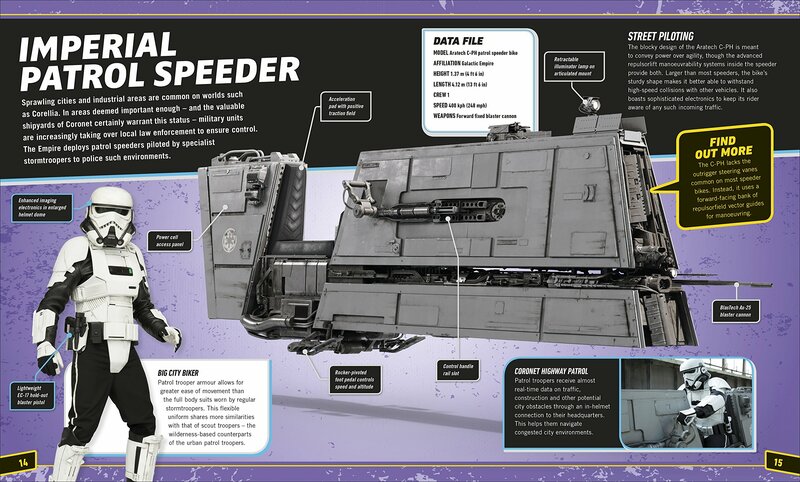 Further more, the drive systems can be swapped to a higher operational mode in space, giving each Dalek a Space Speed of 5. Daleks can easily swap between modes while in flight, allowing them to slow and use the fine control available from the slow speeds to land or move with more care during boarding operations. Electrical Repair System: By using a system related to their Emergency Temporal Shift, a Dalek can either drain temporal energy from a time traveller, or raw electrical energy (if enough is available) to reverse all effects of damage from themselves, returning the armour to a point in time before it was damaged. Emergency Temporal Shift: This system is only fitted in certain Daleks, allowing them to shift themselves through time to save themselves. Since most Daleks are seen as disposable, a method of saving their lives is not seen as essential. The Temporal Shift is short ranged and random, placing the Dalek usually on the same planet within a hundred years. Use of this system drains much of the Daleks power, and use when power is short increases the randomness, giving the possiblity that the Dalek will end up irretrievably lost in time and space. Mental Interrogation System: A Dalek (or group of Daleks working together) can read the mind of a target (using their Sensors skill vs the Targets Willpower), by attaching their "suckers" to the targets head. This allows a rapid interrogation and learning of the subjects knowledge, but can have a fatal effect on the target as they take the amount they fail the interrogation rolls by as damage as the Daleks burn their mind to a crisp. Self Destruct: This system can either destroy just the Dalek itself to avoid capture, or can be used in a devastating blast, causing a 9D explosion.